After a few failed attempts I managed to keeps till enough to not startle the bird away. But boy do they eat those berries fast! 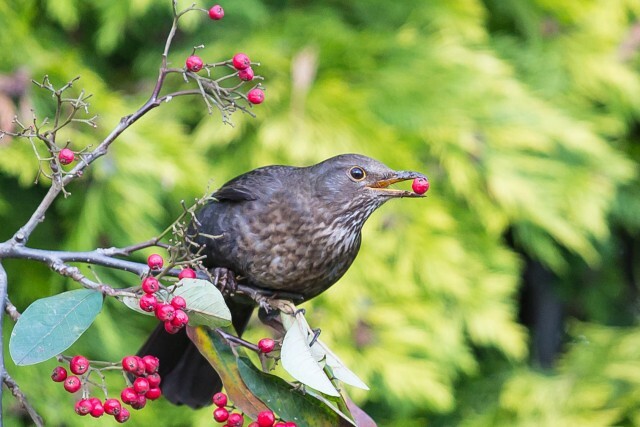 A blink of the eye and she had swallowed another one so nailing the moment she had the berry in her beak was tough.